Oops! 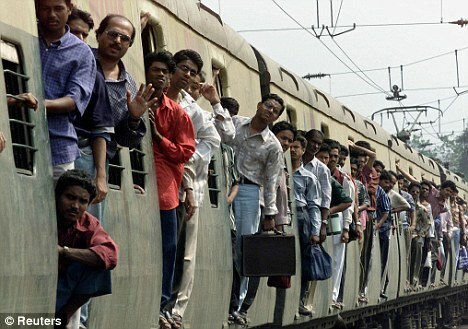 Indian train travels wrong way … for 600 miles! More than a thousand furious rail passengers stormed a station office after they noticed the train they were on had gone 980km in the WRONG direction. As the packed service pulled into the Indian city of Warangal people on board went berserk as they realised they were five hours away from where they should have been and no staff on board had noticed…. It was when it arrived at an interchange at Vijayawada it went wrong, as it was due to swing north to its eventual destination of Varanasi, one of India’s holiest cities. India’s signalling system is run on codes but instead of entering the three-letters for its next intended stop Bhubaneswar (BBS) staff put in the code for Bilaspur (BSP) sending the train in completely the wrong direction.